The rules have broken down. In the old days, you were told that you could afford a house that was roughly 2.5 times your annual income. So in 1960, when the average income in the U.S. was $5300, you could shop for a home that was $15,750. As it turned out, the average home sold for $12,700 back then. What did people do with the extra spending potential? By my way of thinking, that left a UTV budget of $3000, or roughly 60 percent of a person’s income. The real tragedy of that is that there were no real UTVs in 1960. People were left with disposable income and nowhere to spend it. That explains the entire Italian automobile industry. The first good UTV showed up within 10 years, but NASA was using it on the moon. Incidentally, NASA had an annual budget around $4 billion, so by my math, they could have spent 2.4 billion of that on the Lunar Rover. It was only $38 million. It was a deal. It seems that things started going off the tracks by the time there were UTVs that we could actually buy. In 2005, the Yamaha Rhino 660 was among the best of them, and it sold for $8700. The average income in America was $46,000. If you go by the 60-percent rule of thumb, it works out great; everyone gets three Rhinos apiece. Unfortunately, that was based on what was left over after buying a house. That’s where the formula falls apart. The average price for a house was up to $288,000. Using the formula—income (I) x 2.5 – house (H) = UTV—means we have a UTV budget of negative $173,000. Something’s wrong. What do you do when math fails? New math. Using simple logic that, incidentally, in no way reflects upon my education, my econometrics professor or the economics department at the California State University system, I have derived a new formula. In 2005 Yamaha sold a ton of Rhinos. That means they must have been affordable, so the 2005 Rhino provides us with a new index. Now, apparently, it’s I x 2.5 x 2.58 (the Rhino index) – H = UTV. It worked in 2005, so it should work now, right? Hmm, I see a problem. Today, the annual income of someone in Southern California is under $70,000, and the median price for a new home just broke $520,000. 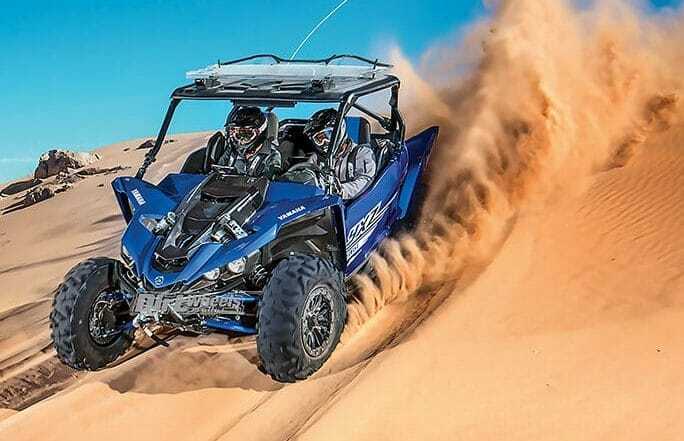 That means we need to find a UTV that sells for negative $68,500. This comes right when the price of a Maverick X3 Max Turbo is pushing $30,000 positive. I refuse to believe that the very concept of a UTV price calculator is unworkable. You would have to figure in a numerical value for the utility that a person derives from his Maverick. In this formula, utility, or better yet happiness, can be expressed with horsepower as a primary component. Since the Rhino made 34.4 horsepower in 2005 and the Maverick Turbo makes 172 horsepower—five times as much—you can simply correct the existing calculator by multiplying our 2.5 income correction factor and our 2.58 rhino index by a happiness correction factor of 1.21 for every time the horsepower output increases by 5R (five Rhinos). That makes the formula work for both 2005 and 2018. I might be oversimplifying it a bit. It’s possible that my happiness correction has more components than horsepower. There might be a bling multiplier and an in-your-neighbor’s-face factor. There could even be negative components like divorce risk. All could be used to fine-tune the accuracy of the UTV price calculator. 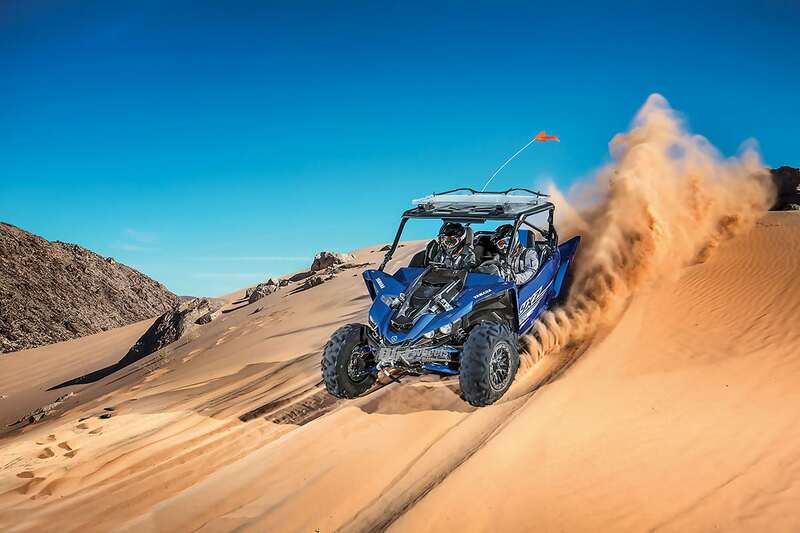 The bad news in all this is that by the time a performance UTV reaches 344 horsepower, they might cost $141,000. That raises another issue—how will people make the payments? That actually is the easy part. We simply turn to the model that the federal government has provided. It’s called generational debt. How much do you expect your kids to earn, and how much happiness can that buy? old vs newRon LawsonUTV priceswide open.